August 16th 2016 will see the release of a re-imagining of Walt Disney Productions’ cherished family film ‘Pete’s Dragon’. Directed by David Lowery and executive produced by long time partner of the New Zealand film industry, Barrie Osborne, ‘Pete’s Dragon’ shares the story of an orphaned boy named Pete and his best friend Elliott, who just happens to be a dragon. Shot entirely in New Zealand, the mixed CGI and live-action film was based at Stone Street Studios in Miramar and shot between January and April 2015. The production utilised the Weta Group for pre and post-production services. Weta Digital created visual effects and generated the films artificial content, notably the dragon Elliot, who provides the base of the films CGI. Park Road provided mobile on-set digital dailies on location and at Stone Street Studios, Wingnut TV iPad dailies and hosted the offline editorial team. The film m ade use of New Zealand’s natural environment, using Wellington, Waikato and Otago as set locations. The New Zealand aesthetic beautifully matches what the screenplay required, and thus ‘Pete’s Dragon’ was able to use exterior locations that captured the wonder and spirit of the story. In a film where reality meets fantasy, the authenticity of the film’s surroundings breathes life into the CGI and draws attention away from the special effects. 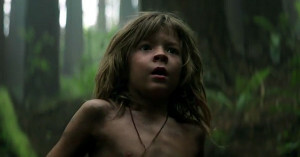 ‘Pete’s Dragon’ is a continuation of the long term relationship between Disney and the New Zealand film industry. The partnership has solidified a mutually beneficial association and has contributed to New Zealand’s reputation as a world-class film-making location. Disney received provisional approval for a grant of 25% for the feature in exchange for a defined production spend, a collaborative marketing partnership to assist New Zealand’s wider interests and assistance with New Zealand screen industry skills and talent development. The New Zealand Screen Production Grant (NZSPG) was introduced in April 2014 and offers a rebate of 20 per cent of Qualifying New Zealand Production Expenditure for international productions.